The house mouse is most commonly encountered and economically important of the rodents. Mice are not only a nuisance but they are the source of much food destruction and contamination. Adults are 2 ½ – 3 ½ inches long. This measurement does not include the tail. The tail itself is usually longer than the body. Mice weigh only about .5 oz. The fur of the mouse is usually grey but can vary depending on area. Its nose is pointed, eyes are small, and has large ears. Droppings are 1/8 – 1/4-inches long and they have pointed ends. Mice do not have very good vision, but have a keen sense of hearing, smell, and touch. They are excellent climbers and can scale almost any vertical wall that has texture. Mice can jump 12” and can drop from distances of 8’ without getting injured. Mice are extremely hardy and can survive in storage facilities at 14 degrees F. They have excellent balance and can run across pipes, ropes, and wires. Because their bodies contain cartilage and not bones they can squeeze into openings the size of a dime. Mice are very inquisitive and will explore anything new that is introduced into their territory. Mice are nibblers and only consume small amounts of food at one time. They will feed numerous times throughout the day. Most of their water needs come from the moisture found in most of their food. Mice prefer seeds, but can eat many different types of food. 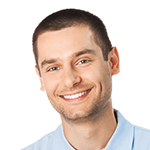 When a mouse infestation occurs, it is essential to quickly get rodent control help from a professional company who understands how to resolve the issue. Rats can do great damage to food and other products and they can also be a vector to many diseases. The body of the adult rat is 7-9.5 inches in length. The tail is shorter than the body. Rats will average 1 lb in body weight. Its fur is coarse, shaggy, and brown in color. Its nose is blunt, eyes and ears are also small. The body of the rat is more heavy set and its tail is usually bi-colored. The size of its droppings is quite large being up to ¾” long, with the ends being blunt. Rats in general are very cautious and nocturnal in habit. They will constantly explore their territory, but will shy away from anything new that is introduced. Rats prefer to nest in burrows. The burrows will have one entrance hole and another for emergency exit. Rats can fit through openings ½” in diameter. Rats will eat just about anything but prefer meats, fish and cereal. If they don’t like the food or it is disagreeable, they will develop an aversion to it. If the food source is acceptable they will consume it until it is filled and return again and again until the food source is gone. Norway rats will roam 100-150 ft away from its nest. They can chew through just about anything to find a food source. Rats tend to follow the same path once they have found a food source and will leave rub marks on surfaces because their fur is very oily. Runways will be free of debris, and the outdoors grass will be worn down to the bare soil. 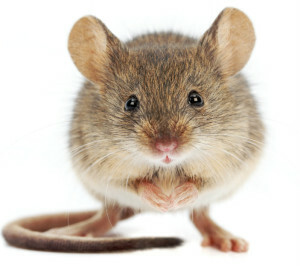 If your home or property is facing a rat infestation, call us today for rodent control help before it gets even worse. 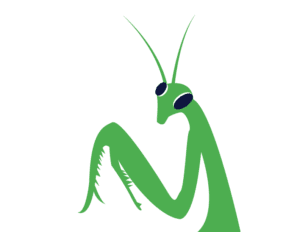 Mantis Pest Solutions is your rodent control solution in the Lees Summit area. If you have seen a rat, mouse or other rodents in your house, but have not called check out this article, “Why Rodents Are Scarier Than You Think.”Call us today for help with your rodent control problem before it gets out of hand.